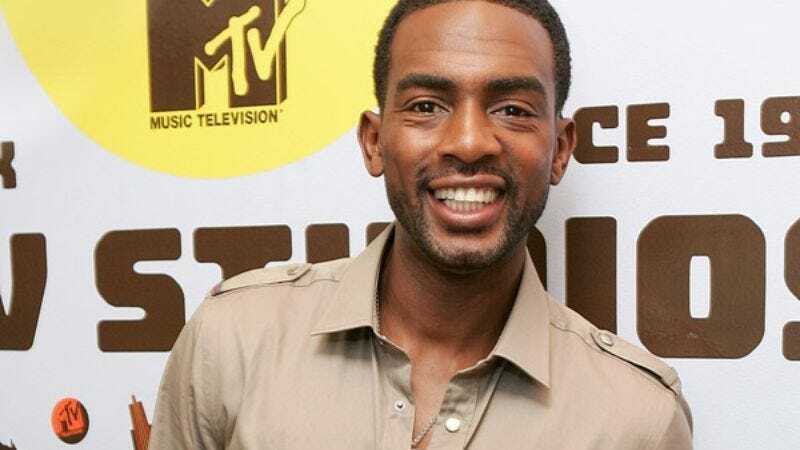 LOS ANGELES—In what many agreed was perhaps the surest bet in all of sports, former Violators player, coach, and all-around legend Bill Bellamy was elected to the Rock 'N' Jock Basketball Hall of Fame Tuesday. Bellamy, who was the first player ever to receive 100 percent of the vote, leads a 2009 Hall of Fame class that includes former Blossom star Joey Lawrence, Mark Curry, and Shawn Kemp, as well as Marky Mark and the Funky Bunch, chosen for their legendary 1991 halftime performance of "Good Vibrations." Coolio and Isaiah Rider were also selected by the Rock 'N' Jock Veterans Committee, which consists of Kenny Lofton and Boyz II Men. Former Bricklayer Dean Cain, who received only 5 percent of the vote, was snubbed for the eighth consecutive year and is no longer eligible for induction. "This is a tremendous honor and one that I do not take for granted," Bellamy told reporters, adding that while he had known his place in the Hall was virtually secure, he had spent the week nervously awaiting the call from Hall of Fame chairman and Red Hot Chili Peppers bassist Flea. "When I heard Flea's voice telling me I'd made it, tears came to my eyes. I was just overwhelmed with memories of putting on that Violator uniform and lavalier microphone and seeing the 25-point basket lowered for the first time." "I am very humbled," Bellamy added. "I owe this to all the people I had the opportunity to play with and against, including [current Hall of Famers] Jonathan Taylor Thomas, Queen Latifah, and, of course, Dan [Cortese]. Thank you. Thank you all so much." "Now I have to get going. I'm hosting a new reality television show where white guys date black women. It's funny." Winner of two MVP awards and a co-MVP he shared with female hip-hop trio Salt-N-Pepa, the MTV Jams host was not just a Rock 'N' Jock basketball phenom but was arguably the game's greatest ambassador. Bellamy shot a league-best 63 percent from 50-point range, electrified crowds with passing reminiscent of Maravich, and as coach took a chance on Baywatch actor and virtual league unknown David Charvet. According to official sources, Bellamy's Hall of Fame plaque will read: "William 'Bill' Bellamy, Violator, 1992–1996: The Greatest of All Time." "A lot of people say Bill Bellamy was the Michael Jordan of Rock 'N' Jock basketball, but I think Michael Jordan was the Bill Bellamy of the NBA," Violators general manager Kareem Abdul-Jabbar told reporters. "Not only was he tenacious on the offensive and defensive ends of the court, but when he did live commentary during games, he was always funny without losing focus. The exact opposite of David Alan Grier." "He exemplified what it meant to be a Violator," former teammate, player, and Naughty by Nature member DJ Kay Gee said. "But nobody quite remembers that he was an even better coach. Bill knew when to trust his players, like in 1994, when he changed into a fancy suit for the fourth quarter and used a dry-erase board to draw up the game-winning 10-point play for Chris Webber. Also, I'm not sure I'm supposed to say this, but it was actually Bill's idea to trade Vlade Divac for John Salley at halftime in 1992, not Magic Johnson's." Located in the Loyola Marymount University gymnasium, the Rock 'N' Jock Basketball Hall of Fame holds some of the most treasured relics from the annual two-team contest. Guests are greeted at the front entrance by a bronzed statue of Michael Rapaport begging Kareem Abdul-Jabbar to give him more playing time. Also on display is the first ever 50-point peach basket, a documentary about the history of Rock 'N' Jock basketball narrated by David Duchovny, the red sticks referees used to signal the lowering of the 25-point basket, and the actual ball used by Gary Payton in his historic 250-point game. Bellamy will reportedly be enshrined in the Hall by Bricklayer player-coach Dan Cortese, his fiercest rival. Cortese, a two-sport star who was also one of the original five inductees into the Rock 'N' Jock Softball Hall of Fame, told reporters that he and Bellamy pushed each other on the court and brought out each other's best. "There was certainly an intense Russell-Chamberlain, Bird-Magic rivalry between us," the former MTV Sports host said in a statement. "We didn't necessarily like each other, but we did respect each other. I still contend that him telling me I had a booger hanging out of my nose during the opening tip-off in1994 was a cheap way to distract me, and probably led to us losing that game, but I probably would have done the same thing." Hosted by Mike Myers, the Hall of Fame induction ceremony will be broadcast on MTV on Sept. 12 at 8 p.m., and every hour after that for the next three months.